We just love the Spring Season! The weather is warming up, the flowers are beginning to bloom, and our resorts have the most exciting Spring Activities! Before your spring vacation, stay current on local events by visiting the Calendar of Events for Hilton Head, Branson, and Ormond Beach. In addition, Spinnaker Resorts offers a variety of activities for the whole family! Birdhouses: With warmer weather on the horizon, birds of all kinds are ready to migrate back home. Help expand their real estate by decorating your very own birdhouse! You can paint, sticker, and glitter these little wooden creations to suit your fancy! Your family and your fine feathered friends will be impressed! Tie-Dye Creations: We start you off with a plain white item and you turn it into a bright, beautiful creation! We have a large variety of colors you can use to make your unique tie-dye creation. You can choose to tie-dye shirts, keychains, make-up bags, pot holders, drawstring backpacks, hats, bandanas, and even superhero capes. The only limit is your imagination! Beaded Jewelry: Bead by bead, come and construct your very own jewelry! Use wire, string, or yarn to make necklaces, bracelets, or even anklets. We offer a variety of shapes, sizes, and designs, so everyone can participate. When you’re finished, keep your masterpiece or give it to friends and family. Either way, someone will enjoy your handiwork! We hope you have an amazing vacation here in Branson, Missouri, and we encourage you to stay up-to-date with our activities calendar. There are so many fun things to come this spring! Here at the Royal Floridian and Royal Floridian South, we are so excited for the upcoming spring schedule. The weather is sunny and beautiful, just in time for Bike Week and other fun spring activities! Read below for Becky’s top favorite activities! Ice Cream Cone Spring Social: This social is perfect for the ice cream lover in everyone! We are super excited to have waffle cones with two scoops of ice cream topped with your choice of chocolate, caramel, or strawberry sauce; and sprinkles and chopped peanut packets for the mouthwatering finish! Guests can pick two flavors of ice cream such as cookies & cream, vanilla, strawberry, strawberry balsamic swirl, cinnamon brown sugar swirl and mint chocolate chip. All ages can sit on the pool deck and cool off while enjoying this delicious treat! Spring Time Breakfast: Every Monday morning in the South Gathering Room at 9:30 a.m. you, your friends, and family can enjoy three mouthwatering pancakes with blueberry, maple or sugar-free syrup with butter, peanut butter or whipped cream! We offer a choice of juice, water, hot coffee, hot chocolate or Mimosas (a fan favorite) along with your pancakes to start off a wonderful Florida day at the Royal Floridian Resorts. We are sure this will be a great addition to our spring Activities. Sugar Scrubs: We are so excited to bring back the sugar scrubs this spring in the Activities Room on Fridays! Create warm spring fragrances made from sunny lemon oil with warm sugar and coconut oil and create your own unique custom label. I am especially excited to bring back our delicious lime coconut sugar scrub. Make a cool mint sugar scrub to rub on those tired feet and have a wonderful aromatic experience. 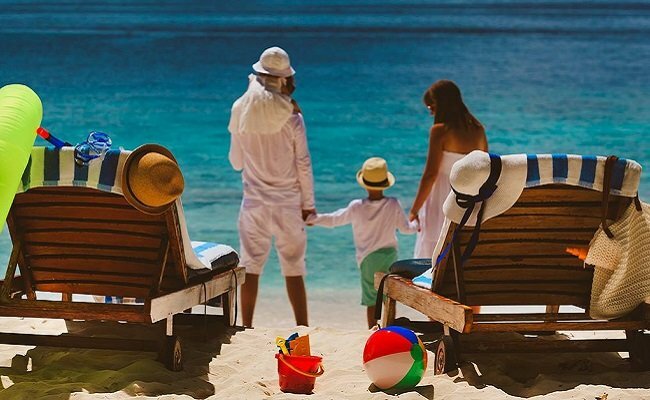 We hope our fragrances will help you have a relaxing spring beach vacation! Bocce Ball: This Spring, I encourage you to go out in the warm Florida sun to play a fun game of bocce ball! We have all new bocce ball sets out on the back lawn at the South Gathering Room. Bocce Ball is a great game that is easy to learn and fun for all ages! We hope your spring vacation is full of exciting adventures and relaxation! Bring your family and friends for a variety of friendly fun games and activities all while enjoying the beautiful Florida sun and beach! Attending the activities is also a great way to meet other owners or guests here at the Royal Floridian and Royal Floridian South! Spring on Hilton Head Island is absolutely beautiful! The weather is warming up, golfers are visiting the island for the Heritage, families are coming for spring break, and best of all the Spring Recreation Guide comes out! This spring season Marci-Anne (Hilton Head Recreational Director) and the Recreational Team is incredibly excited to have you visit and try out some new and some favorite activities they have planned! Duck Races: On your mark… Get set… QUACK! Join your Recreation Team poolside and adopt a duck to try your luck. This proven crowd pleaser is a great time for all ages and your $1 donation goes to support our local waterways and marine life through the Port Royal Sound Foundation. Stop by and cheer your favorite little fella on to victory! Prizes will be awarded to the top finishers and participants! Santa Elena/Parris Island Tour: Step aboard our shuttle and step back in time to explore the “Lost Chapter Of Our History” at the first settlement of the New World recently discovered in the Lowcountry and much more. This one of a kind tour visits: Santa Elena History Center, Santa Elena Site, Parris Island Marine Base for lunch at Traditions, the Parris Island Museum, and Port Royal Maritime Center. Contact Front Desk or the Recreation Team for more information. Spinnaker’s Annual Easter Egg-stravaganza: It’s time for Spinnaker’s Easter Bunny to “spring” back into action for our 6th Annual Easter Egg-stravaganza at our Bluewater Resort and Marina! 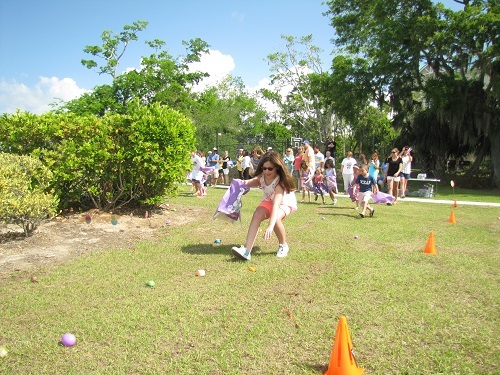 Come hunt down more than 1,000 eggs filled with your favorite candies or a special prize. There’s egg decorating as well and don’t forget to visit the Easter Bunny to take a great vacation photo. This free event is Friday, March 30th at 11:00 a.m. and is open to all Spinnaker Resorts guests ages 2 to 14. Register now at one of our Hilton Head Island Resorts. Don’t miss it!